Updated Friday March 29, 2019 by Nancy Griffith. The Sudbury Youth Cheerleaders helped bring spirit to the LS football home opener! 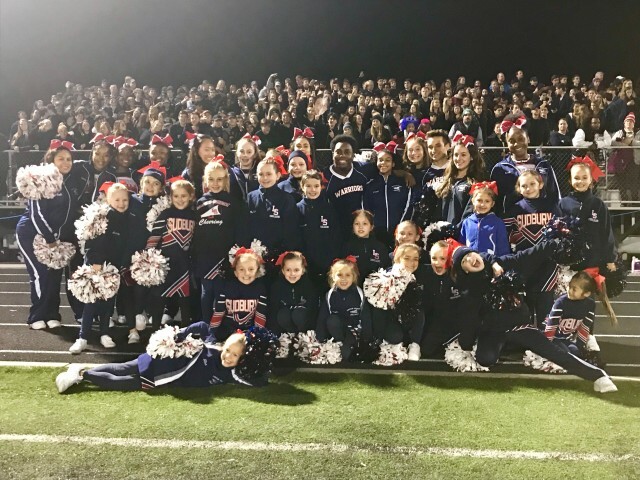 Our Tiny & Mighty Mites joined the LS squad in cheering on the Warriors under the lights during the L-S game September 15th !